Puppies and kittens for Christmas? How boring and uninspired. 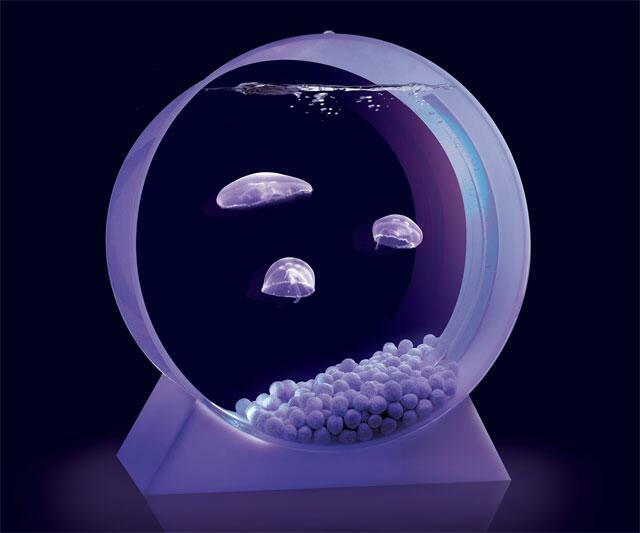 This year, enter to win your very own pet jellyfish gliding languorously around a desktop-sized jellyfish tank (a $366 value)! Jellyfish Art produces fully-equipped jellyfish tanks and kits that have received accolades ranging from Best Product of the Year at the 2011 Global Pet Expo, to Top-Ten Product Campaign on Kickstarter, to excited declarations from me about how much better having jellyfish than having kids would be, and how if I had kids I would definitely be interested in trading them for some jellyfish. 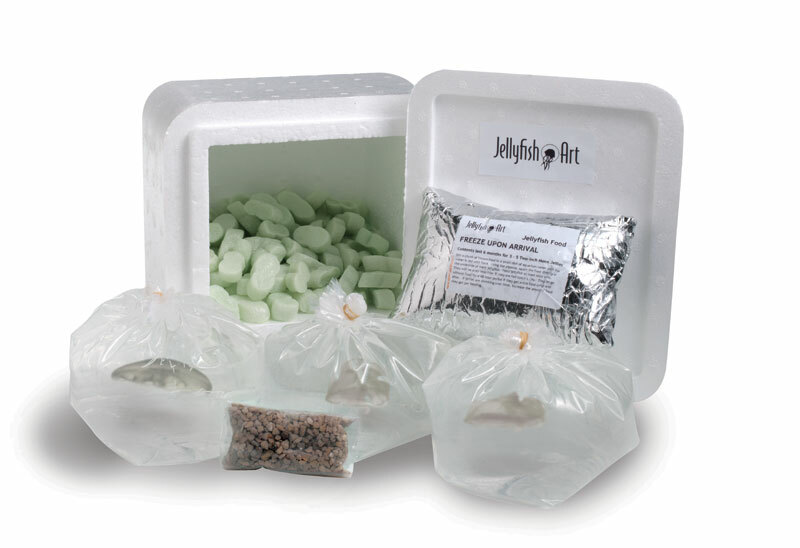 The 1 Jelly Kit up for giveaway includes all of the basics to get started rearing your jellyfish, including a 6-gallon desktop tank and accessories, 30mL of jellyfish food, and one small, cuddly, precious, cute-enough-to-be-a-Gerber moon jellyfish. Acrylic tanks measure 17" high x 15" wide x 8" long, and arrive salt-water ready--once set up, just add water. NOTE: When Jelly Kit orders are placed, the tanks and accessories are shipped first for setup. Once tanks are up and running, buyers notify Jellyfish Art, who will then overnight the jellyfish and their food. Dude's Pet Jellyfish Tank Giveaway includes a single, live small moon jellyfish. Additional small and large moon jellyfish can be purchased through Jellyfish Art here, as can jellyfish tank buddies, the cleaner snail and the red leg hermit crab. 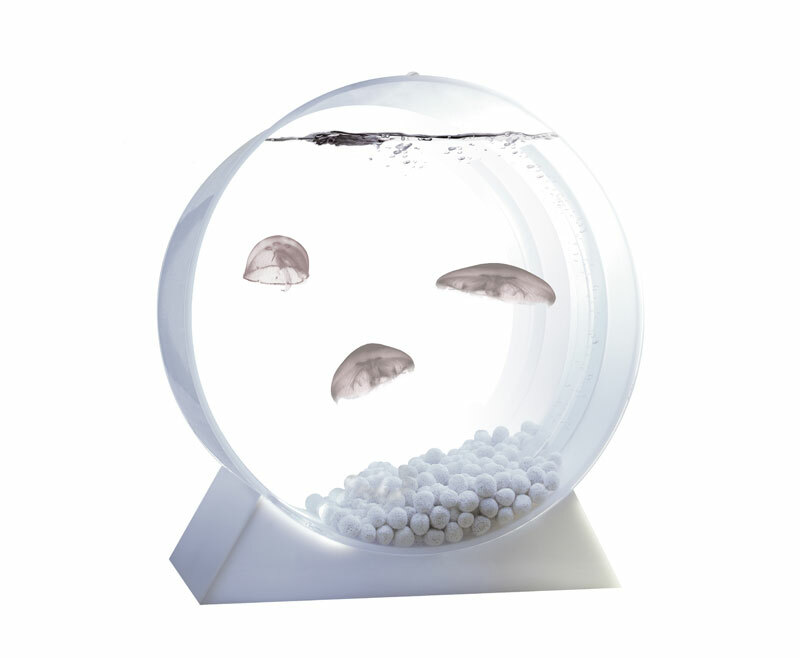 Jellyfish Art recommends housing no more than 5 small or 3 large jellyfish in a single tank. Due to overseas shipping restrictions, this giveaway is open to residents of the Continental US only. Sorry, guys. To register, click here and fill out the Pet Jellyfish Tank Giveaway entry form. Or, if you're already a member of DudeIWantThat.com, when the magic entry form button appears, just click it to enter. The Pet Jellyfish Tank Giveaway entry period is open until 11:59 p.m. ET on Sunday, December 8th. Our drawn winner will be contacted by email within 48 hours of the entry period's conclusion. Provided the winner responds to notification in a timely manner, the tank prize will arrive in time for Christmas. Again, tanks must be received and set up prior to live jellyfish and food shipment, which are overnighted once Jellyfish Art receives word that your new pet's home is ready for him. Or her. I know jellyfish don't have cranial organs but I'm not sure about the sexual ones. Something else I know is that if you get stung by a jellyfish, having someone pee on the affected area does not ameliorate the (immense) pain associated with it. At all. I would prefer not to discuss how I have this knowledge. 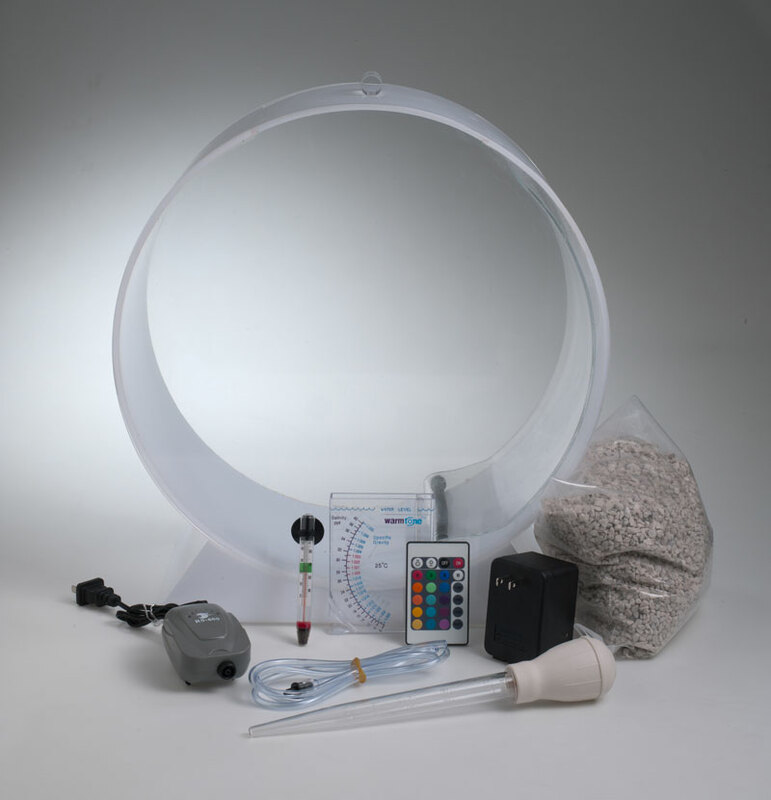 Jellyfish tanks and kits range in price from $285 for the tank only to $685 for a deluxe kit that includes 3 large moon jellyfish, 2 red leg hermit crabs, and 2 cleaner snails. Click here to view the Jellyfish Art inventory and, if you can't wait to hear if you're a winner, buy away at your leisure. Congratulations to Cole A. of Hamburg, NY, winner of the Pet Jellyfish Tank Giveaway! Thanks to all entrants, and to Jellyfish Art for participating! Be sure to keep checking Dude for the thrilling and sea-parting giveaways we'll continue to bring you regularly.